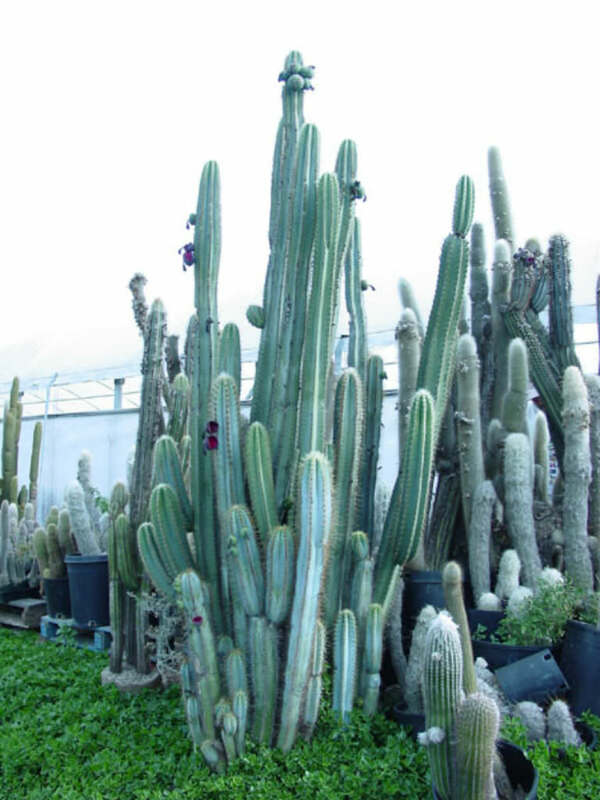 Pilosocereus pachycladus is one of the most spectacular, columnar, tree-like cacti. 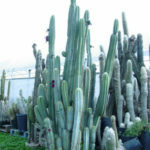 It is up to 33 feet (10) tall and ramify at the base or develops a distinct trunk with dozens of erected, bluish-silver branches up to 4.4 inches (11 cm) in diameter. 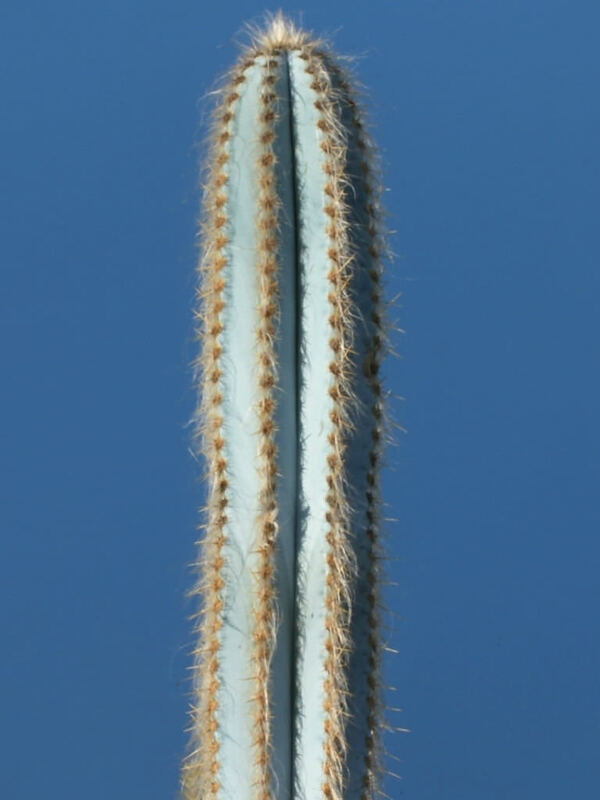 The stems are turquoise or light blue-green. 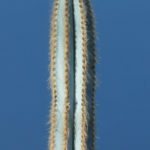 The areoles are up to 0.4 inch (1 cm) in diameter, with white to grey felt and long white bristles. 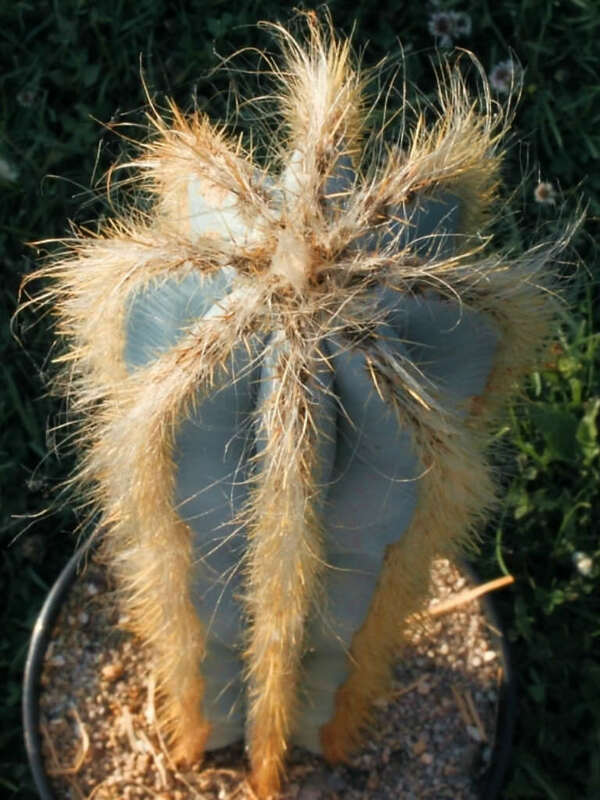 The spines are translucent with yellow hue turning grey as they get old. 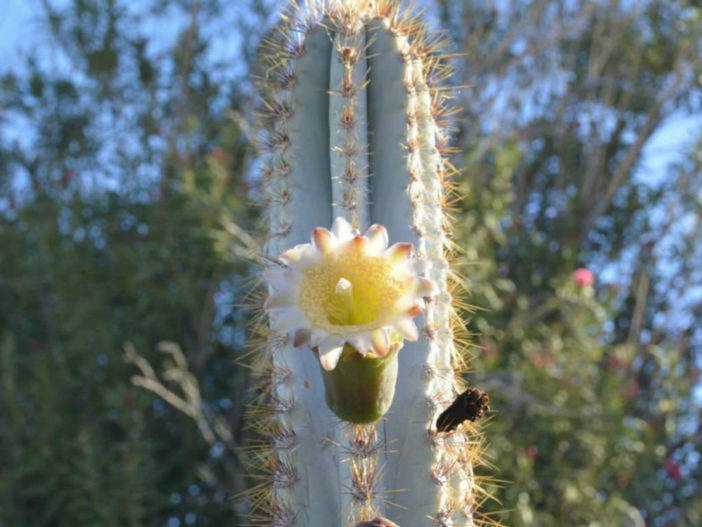 The flowers are more or less funnel-shaped, whitish with greenish or reddish outer segments, up to 3 inches (7.5 cm) long and up to 1.8 inches (4.5 cm) in diameter. 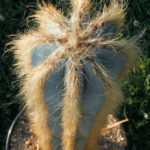 Pilosocereus pachycladus is native to Brazil.